I burst into song. One can do this when traveling alone. Even though I still had a few hours’ drive to my destination, the freedom of being on the road always fills me with joy. And when I’m heading to the Groot Karoo north of the Swartberge, it’s impossible not to join in with the music on the radio. My singing almost turned to yodelling when I arrived at the first stop of my week-long journey. 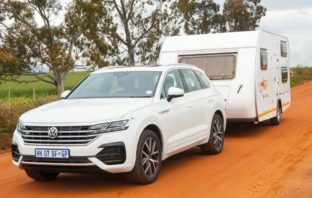 The EL YOLO OnE Karoo Guest Farm had me attempting a “yooooo deee ouuuu deee ay ditt teee” – from the camp sites to the reception and little restaurant is fantastic, deserving of their three-star rating. My journey started in my home town of Greyton, from where I headed east-north-east before turning off the N2 just past Swellendam onto the R324 heading towards the little hamlet of Suurbraak. 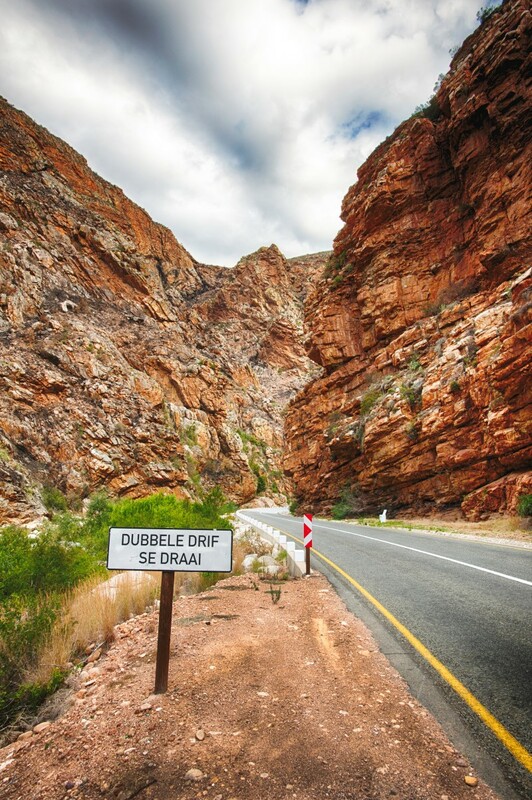 Then it was via the Tradouw Pass to join the famous Route 62 at Barrydale, and on to De Rust. 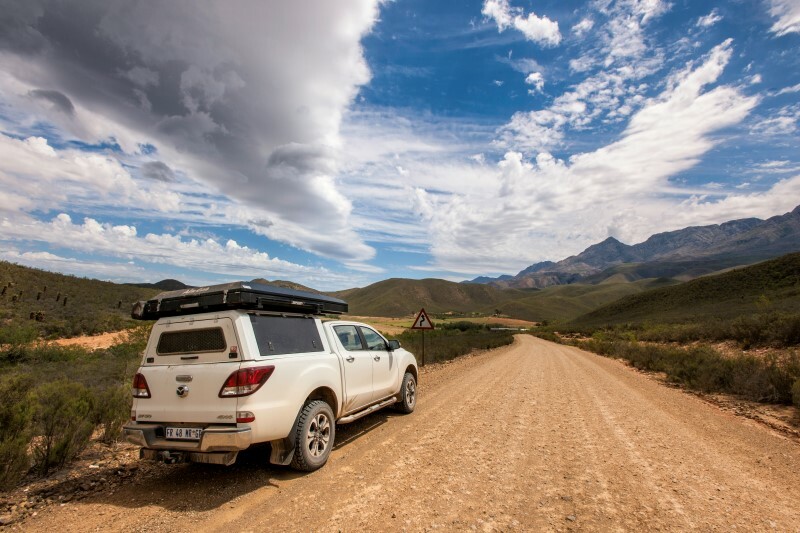 Exploring the Karoo along the foot of the Swartberg mountains. 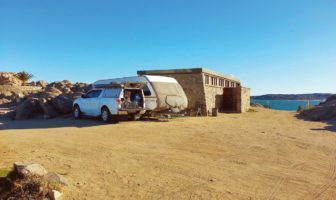 My first stop was just a little further, about 25 km north over the Meiringspoort Pass ro Klaarstroom and then another 25 km on to El Yolo One, just over the Western Cape border in the foothills of the Swartberge. 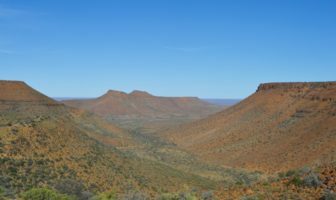 By now you are probably wondering about the unique name of this Karoo Farm. Helene Scheepers, the charming manager was waiting for me at the front steps of the reception and restaurant building and quickly explained the origins of the name: EL YOLO OnE stands for “Enjoy Life You Only Live Once On Earth”. It was the owner Willem Cillié’s children that came up with the name. Whilst on the subject of kids, El Yolo One is a wonderful place to camp with the kids. There are goats, pot-belly pigs, and like any good Karoo farm also some cattle and sheep. There is also a small playground for the kid’s area in the main camp where the chalets are found, as well as a small heated pool as well. 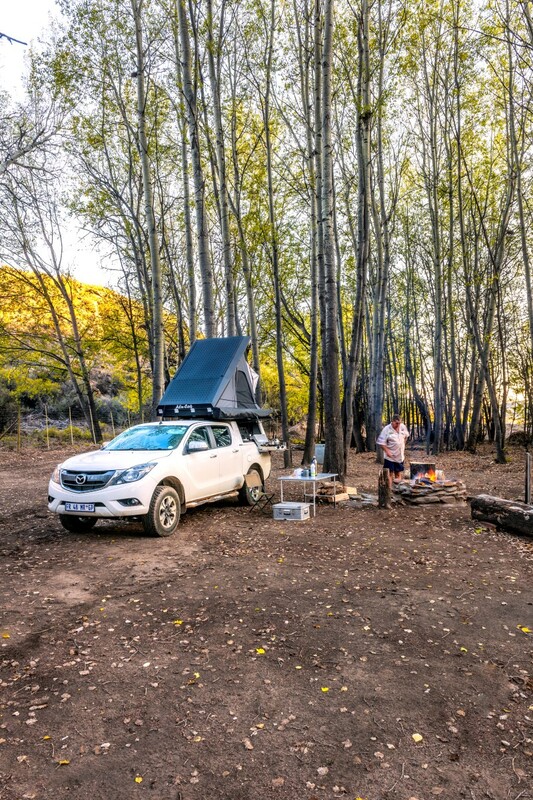 The campsite is on a farm on the Groot Karoo side of the magnificent Meiringspoort. But that didn’t preclude a stop at Le Grange’s Butchery on the R62 for some Karroo wors. A little further along, a the road, a dash into the church like building of the Route 62 Market for a couple of their roosterkoek. At the next town, Ladismith I stopped to buy some cheese, butter and yoghurt at the Parmalat Cheese shop as you leave town for Calitzdorp. A stop for a cup of java at Ray’s Coffee Shop and Diner at the Meiringspoort end of town is a must. The main campsite under huge polar trees. I camped at the main campsite under some huge poplars, as well as down at the 4×4 camp, which is only booked out to a single group, with a maximum of 8 people. Both camps with were superb. But I really wished I could have stayed down at the bush camp for a lot longer. The first night I woke up and looked out from the rooftop tent, and found two young kudu females grazing a couple of metres from the vehicle. 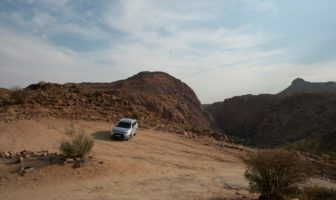 I also visited the new 4×4 camp that is still under construction. It’s beautifully situated and it’s going to be a winner. 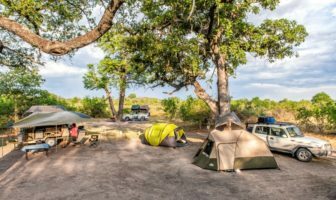 After a stay at El Yolo One, I have to say that this is a spot where the guests come first, and they cater for any kind of camper. The standard camping area is sited in a big stand of poplar trees, and accessible by an ordinary sedan car. There is a neat stone braai next to each stand, and 220 V power. The ablution facilities are really first class. 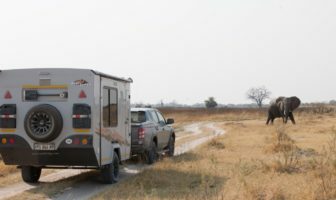 The main camp and 4×4 camps have donkey boilers for the hot water. Plenty of wood the boilers are supplied at the campsites. I found with a small piece of firelighter and a couple of large chunks of poplar wood out of the wood basket I had a roaring fire in the donkey in minutes, and soon after I had a piping hot shower. There was still plenty of hot water the next morning. 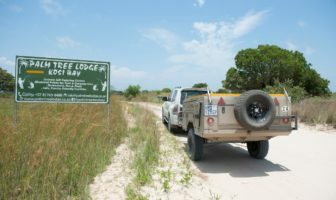 The 4×4 bush camps (the second is still under construction) is situated down a small valley a couple of kilometres from the reception area. The camp has no electricity but there is some light fed from your vehicle battery. Arriving you see a wooden bridge over a small ravine leading to the braai lapa area and the ablution faciliters. On a pole is an old battered kettle. Clipped on to the kettle handle are two bulldog clips; one red one black. You attach these to your battery and voila you have lights throughout the camp. I also loved the arty solar lights, from an a bulb in an old coffee grinder; and the light sweeping the braai area is in an old steam iron dating back to the Victorian era. I found everything at El Yolo One to be first class. At has a 3 Star rating but I reckon it should be FIVE! There is a great little restaurant on the farm. Out on the wooden deck is small heated pool. The farm is also pet friendly, but you need to enquire first if you intend bringing a dog. One of the chalets at EL YOLO OnE. 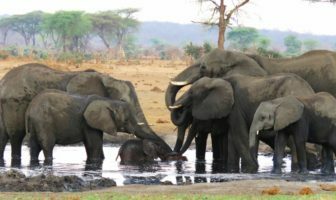 There is some 300 hectares of fenced game camps and game drives are allowed. 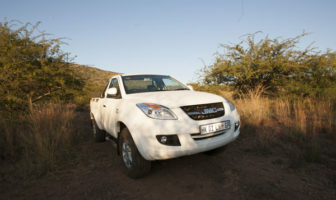 You can also tackle the 4×4 routes, and there are three caves with bushman paintings to go view. The farm is close to Klaarstroom and Meiringspoort. Meiringspoort is a Unesco World Heritage site, one of only eight in South Africa. De Rust a fascinating little town is close at hand. 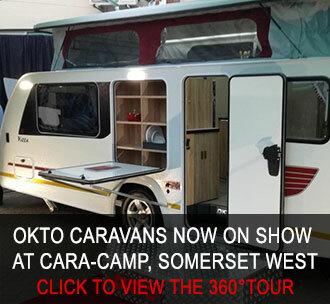 Oudtshoorn with all its attractions including the Cango Caves is only 80 kms away. After my stay I would certainly recommend El Yolo One to anyone who wants to experience the serenity and beauty of the Karoo. Using El Yolo One as a base, I headed back the 23 or so kilometers on the gravel R407 road to cross over the N12 to explore the small hamlet of Klaarstroom. 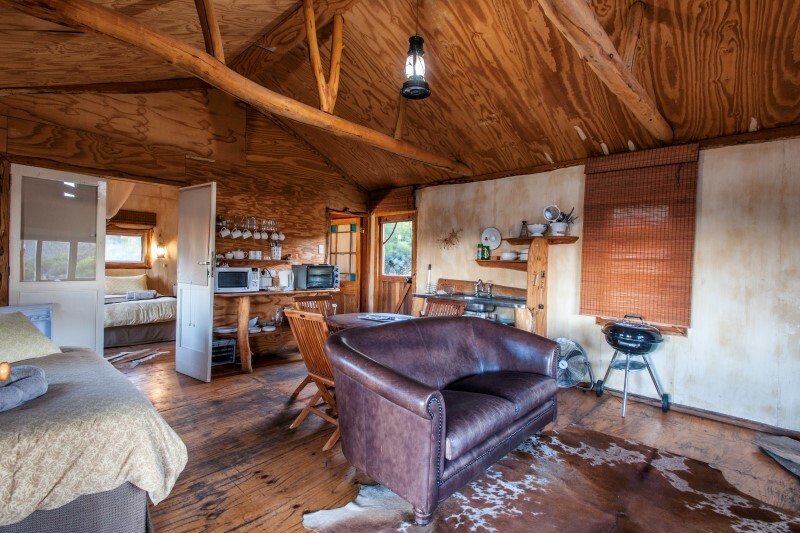 The little village was founded in in 1874, and was the perfect place for the sheep farmers from deep in the Karoo hinterland to wash their wool before the long ox wagon drive down to the harbour port of Port Elizabeth. With time, technology and later the railway, the wool-washing business closed up shop. 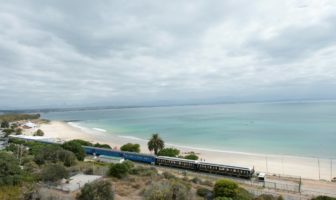 But the village still retains its Victorian mantle, and in town you can find three church buildings, the police station housed in a magnificent Victorian building, a General Dealer, the old Klaarstroom Hotel and some pristinely restored Victorian homes. You now get some idea of why it’s really worth a visit. Outside the Klaarstroom Hotel, a short stocky gentleman was busy washing down one of those small grey Massey Ferguson tractors! I got into a fascinating conversation with the man, named Derick Gavin, and found out that he grew up on the farm where I was now camping: El Yolo One. His family actually owned the Klaarstroom Hotel for many years, while his wife Estelle ran the local General Dealership next door. Derick then showed me his other love: a battered but loved old Fordson Major tractor. It fired up with an almighty puff of smoke at the first crank of the motor. He also had a collection of old Lister diesel engines. 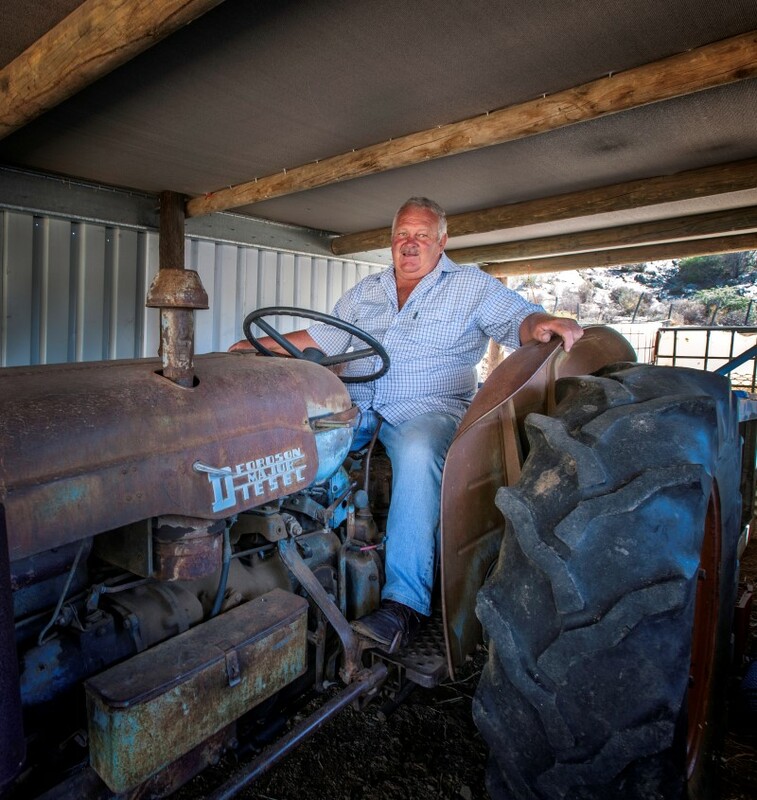 Derick Gavin showing off with his Fordson Major tractor in Klaarstroom. I had time on my hands on this trip so I also paid a visit to what I consider the jewel of the Klein Karoo, the dorpie of De Rust. 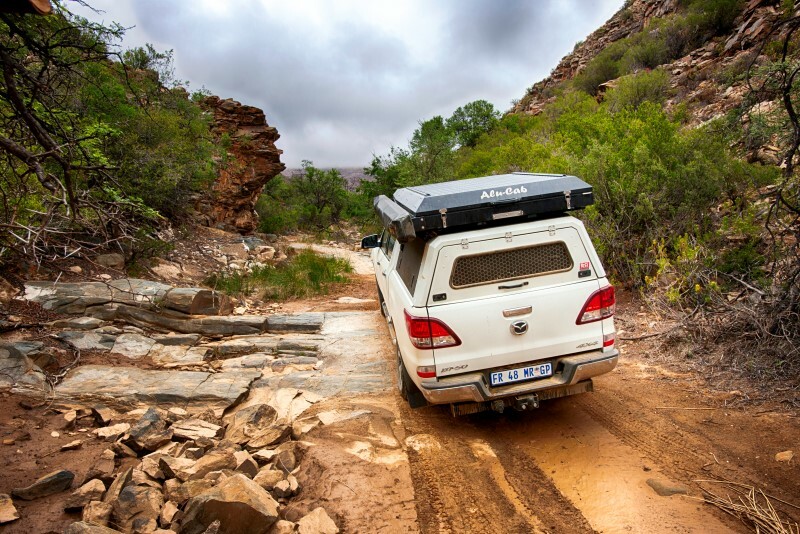 To get there I had to again head through Meiringspoort, a literal crenelated crack running through the seemingly impenetrable Swartberg Mountains. 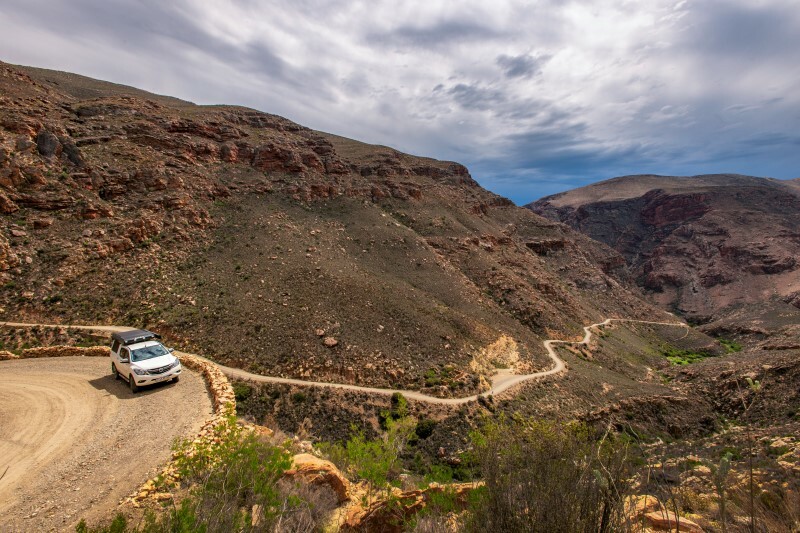 It winds its way over 25-river crossing via drifts linking the Klein Karoo up to its larger sibling, the Great Karoo. Meiringspoort is named after Petrus Johannes Meiring (1799 -1876) the farmer who owned the farm De Rust, on the southern end of the pass. He worked tirelessly for the opening of the poort. It was finally opened on the 3rd of March 1858. One can only imagine what it must have been like to traverse Meiringspoort by horseback or ox wagon back in those early days. Now you hum along stopping to get out and simply allow the scenery to fill your every cell. 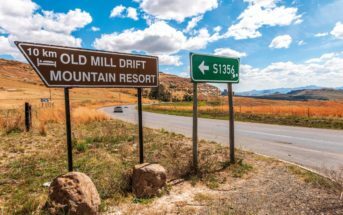 The first drift from the Klaarstroom side is Last Drift or First Drift (Eerste or Laaste) whilst the southern entrance near De Rust is called Spookdrif (ghost drift). Apparently the name comes from an eerie phantom ball of light which was seen here. As usual I stopped at Mike’s Café and Diner just a couple of hundred yards from Spook Drift for a large cappuccino before heading up the hill. There’s plenty to see, with restaurants, art galleries, antiques and homemade food products. I visited Ilse Pringle’s shop called Tolbos. Ilse’s glasswork is brilliant. She also has small deli on the right hand side as you enter the shop. I then nipped in next door to the Village Trading Post for a bite to eat. You can’t say you’ve visited De Rust till you have visited the VillageTrading Post. The Village Trading Post is a shop, a restaurant, a small warm-hearted pub, a small art gallery and one of the dorp’s main gathering places. Niekie Eksteen and Soan Jacobs own this beehive of activity. At Niekie and Soan’s place, looking at a map of Prince Albert, I saw a warning: ‘No caravans or heavy vehicles allowed on Swartberg Pass’. 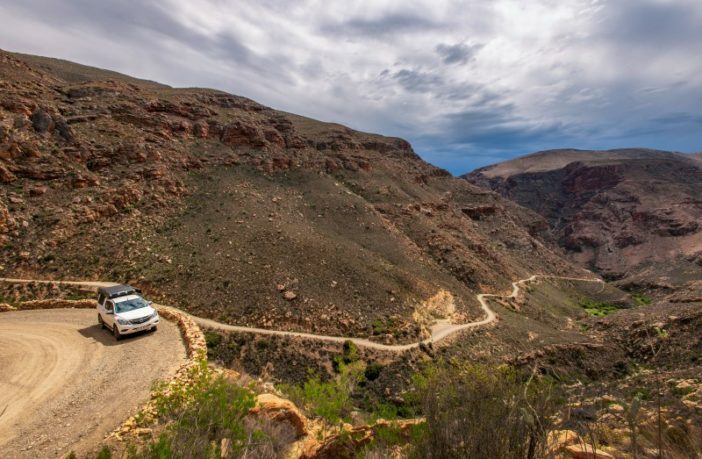 The Swartberg Pass is considered to be one of the most spectacular mountain passes in the world, with breath-taking views at every turn. It’s a good thing that unlike my usual trips, I was only camping and not towing. 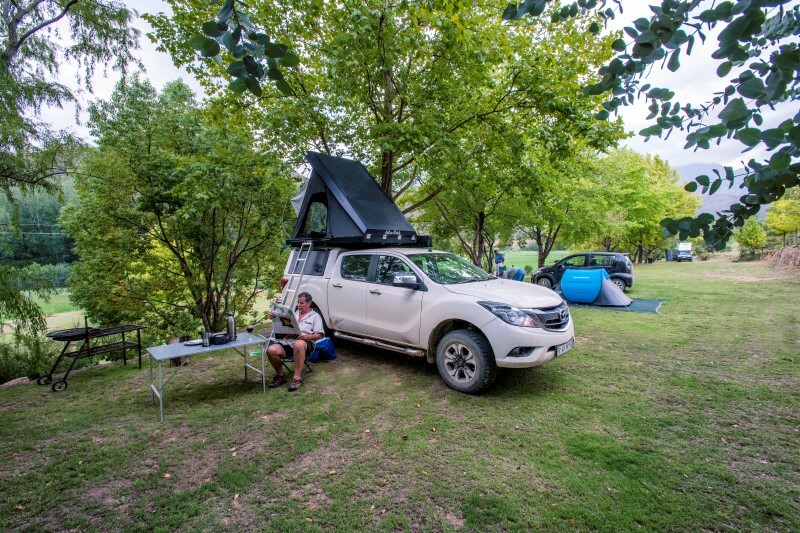 On this outing I was cruising in a fully-kitted double cab Mazda BT-50 with Alu-Cab rooftop tent, RSI Smart Kitchen with a two-burner gas stove and four big spanking new Dunlop Grand-Trek off-road tyres. So a plan took shape: To get to my next destination, I was going to head back through Meiringspoort, turn left at Klaarstroom, and head south in the shadow of Swartberg Mountains down to Prince Albert. Camping was no problem. It was a genuine United Nations down at Olienhof campsite. I first spoke to Finn and Jytte Jacobsen from Nordborg in Denmark. 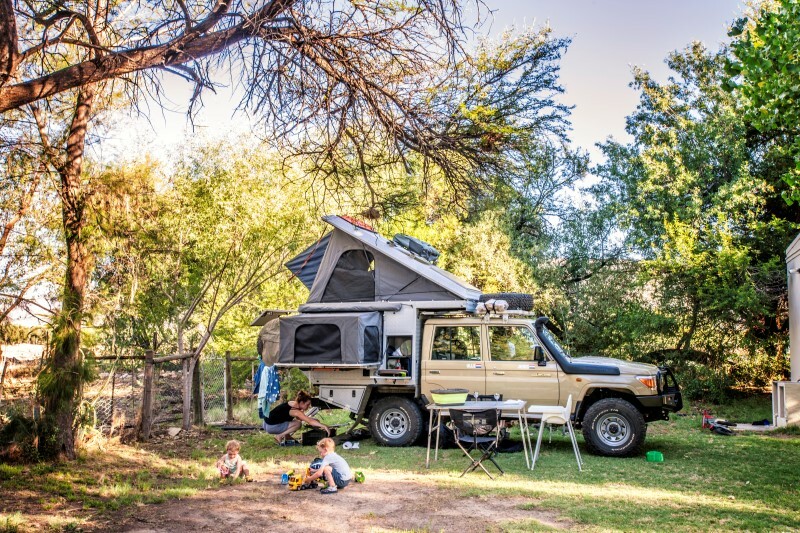 The Jabobsen’s have a Land Rover TD5 and sleep in a tough Tentco canvas dome tent. They keep the Landie in Johannesburg and try to visit Africa at least once a year. 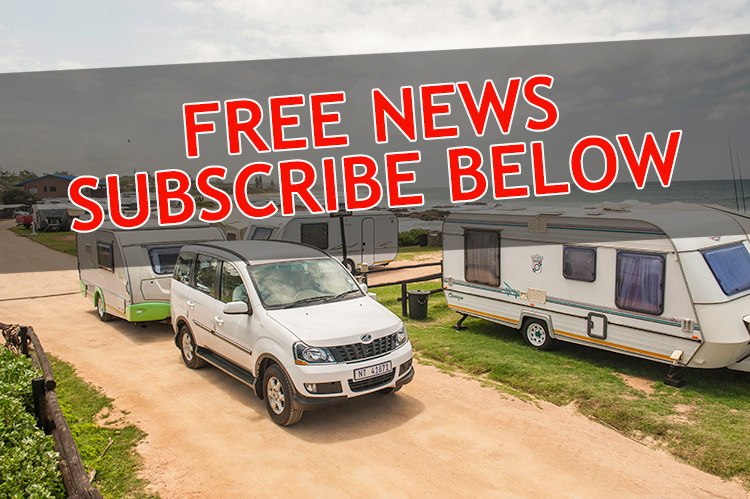 Every time I’ve visited the Olienhof Caravan Park, I’ve met travellers from all over the world. 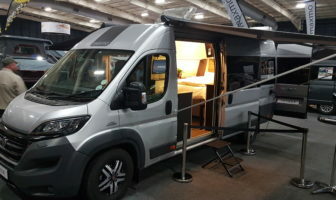 On my most recent trip, my neighbours included campers from Denmark and Holland. Next in line was Dutch couple Joris and Marthe Veldhuis with their two young kids Olle and Dore. 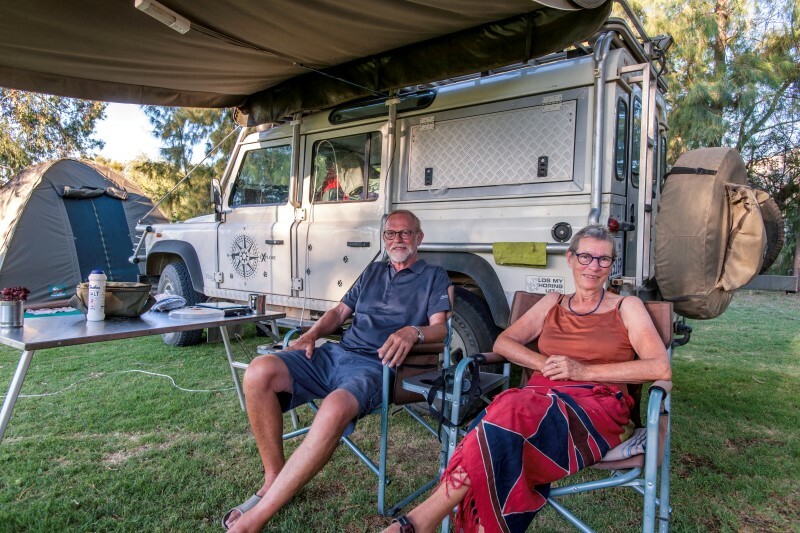 The Veldhuis’s had just bought a fully kitted Toyota Land Cruiser and were on a year-long trip traveling through Africa before ending up back in Holland. Joris is a doctor… actually, a child psychiatrist. Before the arrival of the kids this adventurous young couple had traveled extensively all over the world. I was particular fascinated about their trip to Egypt and the Sudan. I was sticking to my tiny corner of Southern Africa, but that’s perfectly fine – I love staying on working farms. As the name Olienhof indicates, this caravan park is sited on an olive farm. Visitors can take a walk across the grassed campsite to the state-of-the-art olive pressing facility. Right next door are row upon row of the grey-green olive orchards. The olive oil and olives sell under the label Prince Albert Olives. Wendy Williams who runs the resort, very kindly gave me a tin of their superb oil. 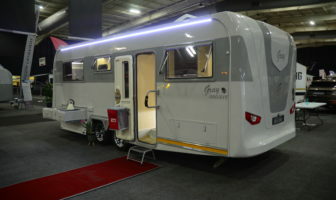 I have been camping at Olienhof for a number of years now. When I arrive it feels like coming home. Olienhof’s campsites have mainly shaded stands that have electricity and potable water in shared taps. It’s just a couple of minutes’ drive up to Church Street, the main thoroughfare in Prince Albert, with art galleries, restaurants, delis, a little bakery, and tons more. 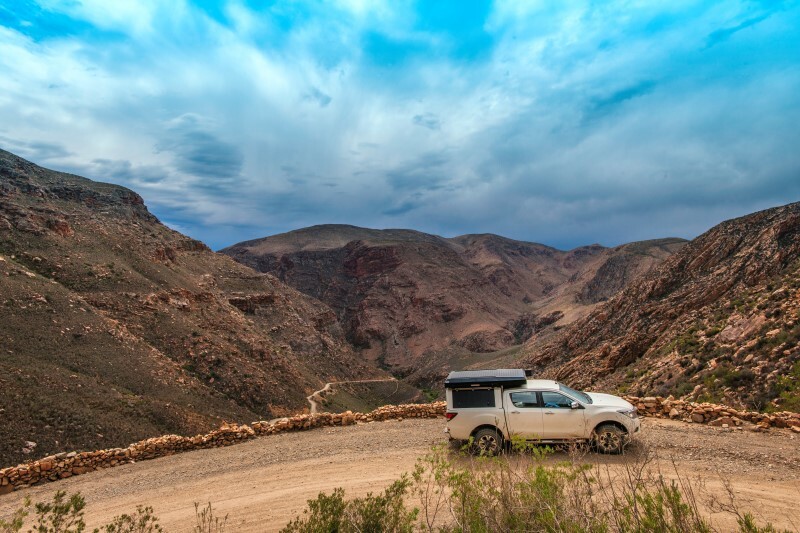 After a relaxing time at Olienhof, I needed to get across the spine of the mighty Swartberg Mountains to get to my last campsite on this trip. Back in the days when I was a young guy just out of school and one could still hitchhike reasonably safely, I liked to play it by ear when I adventured out. These days I am a grandfather, and although I don’t stick my thumb out to get anywhere anymore, I still like to “play it by ear” on occasions. Sometimes it works sometimes it doesn’t. But this was one where the Powers that Be co-operated. 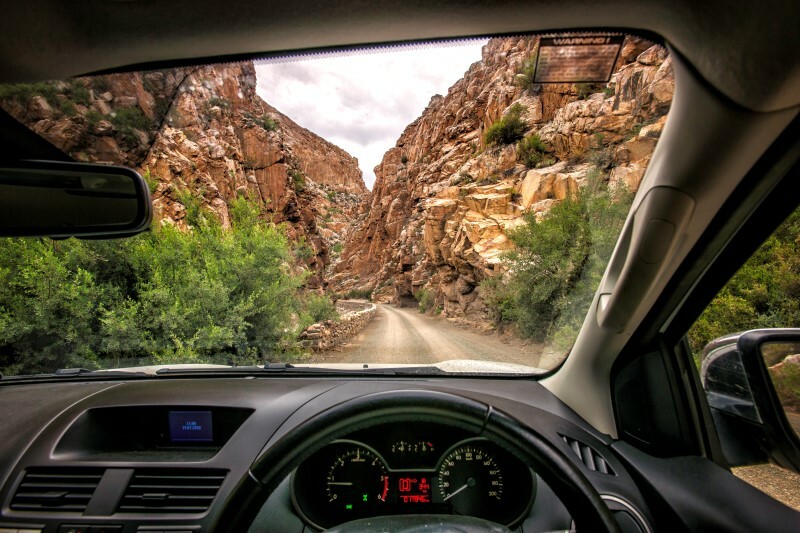 Descending the Swartberg Pass I turned right on the gravel road that takes one to a T-Junction at a place called Kruisrivier, leading eventually to Calitzdorp. In my humble opinion this drive is one of the most scenic and beautiful drives in this country. As I started approaching the T-Junction I passed a stately Karoo farmhouse on my right and saw a sign on the gate, Kruisrivier Camping. It was Sunday, and being a farm lad I thought, “You can’t hassle people on a Sunday”. So I carried on, but I had not even driven a kilometre when I thought what the heck! I turned back, walked up the steps of the farmhouse and knocked. I was met at the door by the friendly face of Basie Strydom, the owner. “Welcome… drive back to the gate with the camping sign, follow the road down to the campsite. 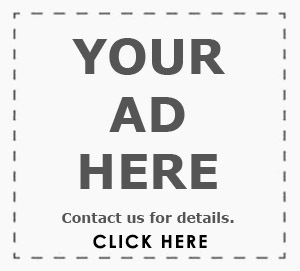 Choose any site you like,” he told me. Playing it by ear had just landed me in one of the nicest campsites in the Klein Karoo. 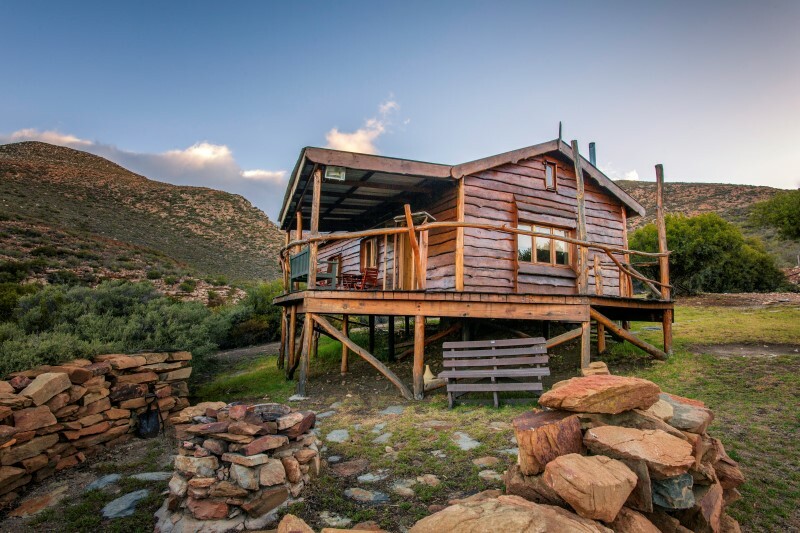 A place of peace, quiet, tranquility situated on a working sheep farm called Kruisrivier. Kruisrivier has been in the Strydom family since 1759. 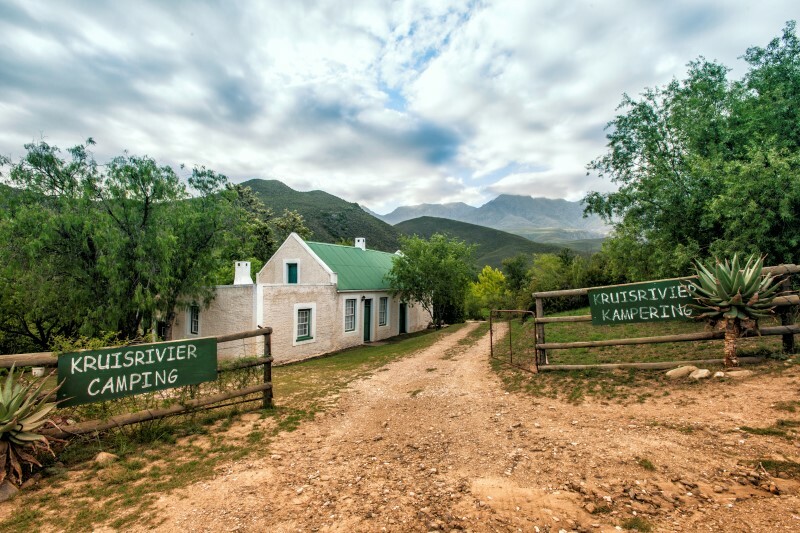 Stewardship of this lovely farm looking up at the Swartberg Mountain range is now in the hands of Basie and Mandie Strydom and their three sons Jan, Coenraad and Sybrand. They are the 7th generation to live on this farm. Kruisiriver Guest Farm is run by Basie and Marie Strydom and their three sons. It's been in the Strydom family for seven generations. 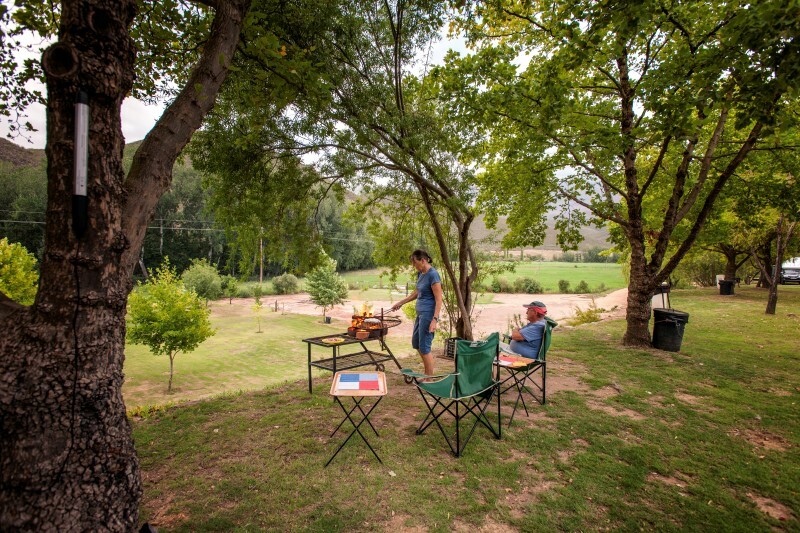 Kruisrivier Guest Farm offers peace and quiet, with only eight campsites. The present eight campsites are on a wide, grassed contour looking down towards the Kruisrivier below. The gurgling water you hear comes from the strong stream that flows down the hill past the old mill house next to the ablution block. 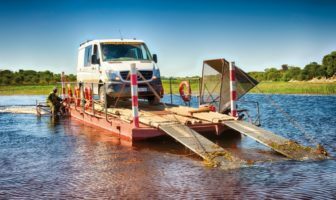 There is plenty to do at Kruisrivier. For the kids there swings and a big sandpit and an opportunity for a city kid to catch try their hand at catching crabs in the small stream. In the Kruisrivier farmyard the kids will find geese, ducks, chickens a cat and two friendly Labradors called Chommie and Milo. Kruisrivier is pet friendly, but you need to phone first if you want to bring your pooch. There’s also hiking, mountain biking, swimming, fishing and bird watching. I also headed the short distance down the road to visit the studios of Roger Young and his partner, Phyllis Midlane. Roger is especially well known for his black and white portraiture of the local people being superb. Phyllis is professional costumier whose costumes have won worldwide recognition from film and theatre companies. They have a small coffee shop at the gallery. I sat on the stoep with a glass of their homemade lemonade. Phyllis also showed me the small guest accommodation off the main gallery area. I’ll kuier here before I turn my toes up; it’s that kind of place. The guest accommodation at the studios of Roger Young and Phyllis Midlane. 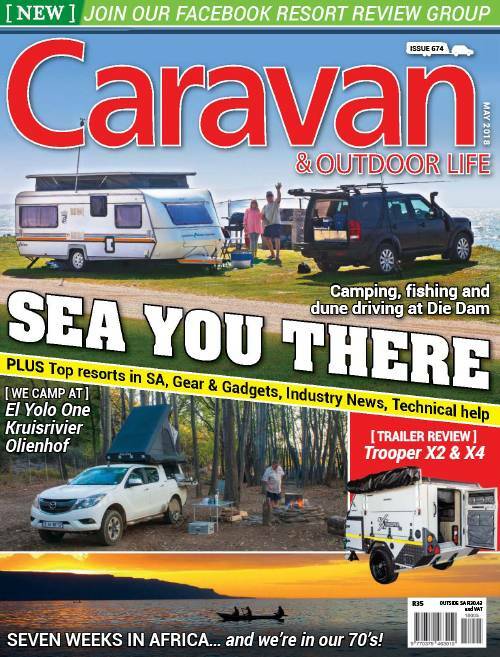 Actually, every place I visited starting at El Yolo One at the top end of the Swartberg down to Kruisrivier in the shadow of the same mountains were places that cried out for another visit. I have three crumpled Lotto tickets in my wallet. I let them mature. Maybe one will be a winner. I know what I will do with the loot. I would keep working coz I love the job. But instead of days I will take months to explore areas like the Klein and Groot Karoo.